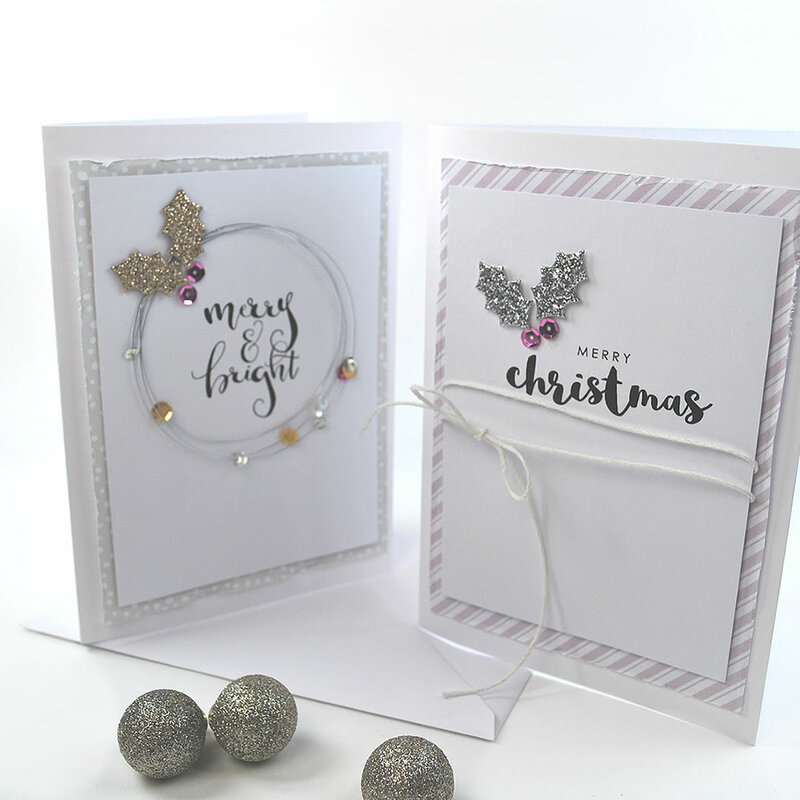 And to make these two Cards, I've layered papers from The French Country Christmas Collection with sentiments from the new 'Happy Noel' Sentiments. There are some new additions in The French Country Christmas Collection. They are not brand new designs. They are designs that have only been available in The Colour Collection Colour Palette up to now. And not in The French Country Colour Palette. And vice-versa. There are also a few designs which had been available in The French Country Colour Palette which had never been included in The Colour Collection Colour Palette. & The French Country Christmas Papers Collection *here*. Holly Die: Simply Creative at The Range. 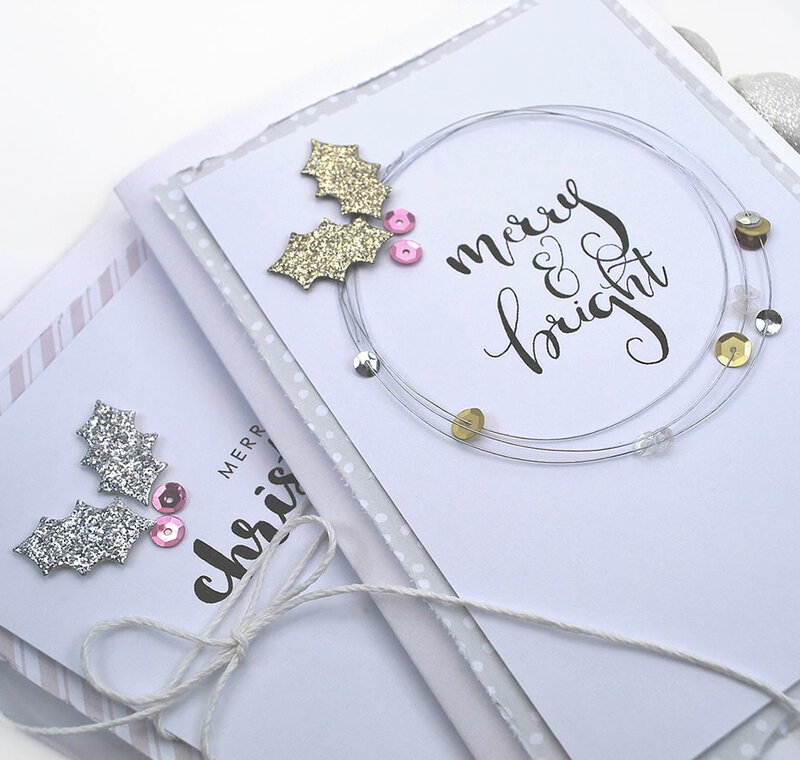 Glitter Card, 28 Gauge Craft Wire and a selection of Sequins & Crystals. Patterned Paper: 'Candy Cane Stripe' in Antoinette from The French Country Christmas Collection printed onto Smooth White Paper. Glitter Card & Pink Sequins.